In 1995, Vianna Stibal, a mother of three young children, was diagnosed with a cancer that was quickly destroying her right femur. Everything she had tried using conventional and alternative medicine had failed, until she employed a simple technique that she used in her work as an intuitive reader. Amazed that she had cured herself instantaneously, Vianna started to use this technique in her sessions with clients and saw person after person miraculously heal. 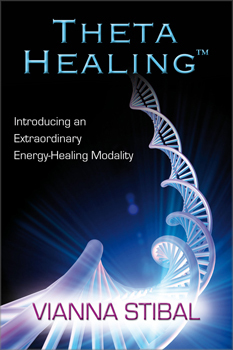 Theta Healing is essentially applied quantum physics. Using a theta brain wave, which until now was believed to be accessible only in deep sleep or yogi-level meditation, the practitioner is able to connect with the energy of All That Is - the energy in everything - to identify issues with and witness healings on the physical body, and to identify and change limiting beliefs. how to develop the ability to change on all levels: physically, mentally, emotionally, and spiritually, using the Creator of All That Is.